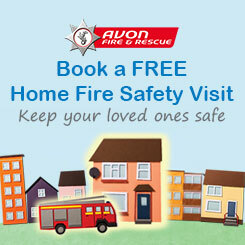 Community Safety Centres can be found at three of our fire stations across the area. The centres provide a space to host meetings, IT facilities and internet access, all free of charge to local community groups. While making use of our centres we hope people will take the opportunity to learn about fire safety, and pass on information to family and friends. How do I book a Community Safety Centre? To request the use of a Community Safety Centre please complete the booking form below, and someone will be in touch. We are unable able to take repeat bookings for more than 3 months in advance. Where can I find a Community Safety Centre? Community Safety Centres can be found at the three fire stations listed below. Are the centres accessible for people with special needs? Yes, all our Community Safety Centres meet the requirements of the Equality Act. However, the centre at Yate does not have a hearing aid loop system installed or internet access.